HUTTO, Texas – Now that he’s got one Super Nationals first under his belt, Mike McCarthy is hoping to accomplish bigger and better things at the 33rd annual version of America’s Racin’ Vacation. 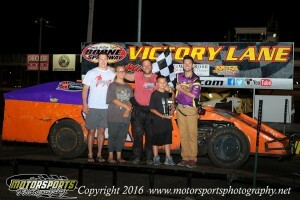 The Modified veteran from Hutto, Texas, was first to pre-register for the Sept. 7-12 IMCA Speedway Motors Super Nationals fueled by Casey’s. Like all of the 800-plus drivers making the trip to Boone Speedway next month, McCarthy has his sights set on making the Saturday night main event. 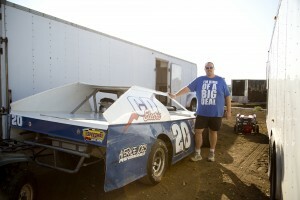 The winner of a heat race six years ago, McCarthy will be competing at Super Nationals for the 13th time. He didn’t have a car and missed 2006 and 2007, then drove a Stock Car for a friend in 2012 and 2013. The addition of Northern SportMods to the schedule and the crate engine option are two of the biggest differences between his first Super Nationals and the upcoming event. His have fun approach extends to the Duffer Nationals Golf Tourney, to be held on Friday morning during Super Nationals. Regardless of how McCarthy fares on the track during his week at Boone, he’ll always have at least one Super Nationals first to his credit. He’ll take another week off next spring to tie the knot with fiancée Jenifer Pangle during a Caribbean cruise. They’ll set sail when his daughter Megan and her daughter Tristen are on spring break. 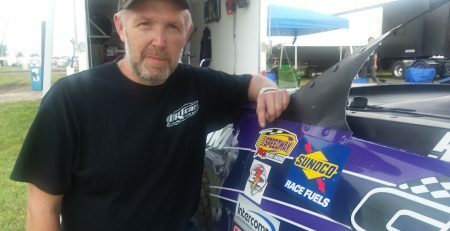 McCarthy is sponsored by Garvin’s Machine Shop and TTD Bookkeeping, both of Killeen; Average Joe’s Performance of Round Rock; CD Electric of Corpus Christi; Miller and Tsakopulos Financial Partners of San Antonio; and the JMT Race Team.